A few weeks ago, I had to run out with my littles to buy a birthday present for my daughter's BFF's upcoming birthday party. Funny enough, when it comes shopping, my kids are so very different. My daughter isn't much of a shopper, but give her a dollar bill and it will burn a hole in her pocket until it's spent; my son likes to shop, but is a saver and will weigh out his options before making a purchase. Several weekends before, we sat at the kitchen table and poured out their savings to see how well they had been doing. I mainly did this because my son's piggy bank was overflowing and needed to make room. We carefully counted out amounts, filled plastic coin wrappers and sealed them to take to the bank to exchange for dollar bills. The only problem with this whole process is that my boy had grown to love his coin collection and didn't want to part with them. My daughter immediately asked what stores were open. It wasn't until he saw an advert for the Zoomer Dog that he declared he was ready to part ways with his money. Although I'm still a little unsure as to what this toy does, I knew it must be something special for him to want it. The only stipulation? He wanted to use his rolled coins to pay for it. We got to the toy store, found a gift for my daughter's friend (and something for my daughter, naturally) and we also found the dog after some difficulty (HINT: It was in the video game aisle). We made our way to the till and happily discovered the queue wasn't as long as it usually is on any given day. There were two customers in front of me and one that followed behind. As we got to the front, we placed the items on the counter and I quietly explained to the cashier the situation about the money. She was so understanding and amazing about it, but had to ask her supervisor if it was okay because they had issues with rolled coins in the past. Apparently, some people think it's acceptable to hide metal studs in the middle of paper coin wrappers and put just enough quarters around it to make it believable, short changing banks and consumers. As she turned to call and page her, the woman behind us, who was easily in her mid-sixties, let out a big, impatient gruff of breath. Yeah, I know. I get it. It's a small inconvenience, so I just ignored her. It honestly wasn't even 30 seconds later when her supervisor appeared and the cashier explained the situation. The supervisor praised my son (which I thought was so awesome) and gave the green light to process the order because we had rolled the coins in clear, plastic wrappers and the contents inside were visible. It was then the woman behind us in line felt the need to sarcastically add to our conversation. "Hmph. Yes. And we all thank you for that!" Okay, Grandma. I gave you a pass for the impatient puff. You can't shout "UNO" and think you won the game when I'm holding a Draw Four card. I turned around to look at her and noticed she had a small pile of Barbie and Barbie accessories. "Oh, those look super fun!" I said in my most charming voice. "Are they for someone special?" "Why yes they are. They're for my granddaughter!" I clapped my hands together, looked her straight in the eyes and exclaimed, "And how proud would you be if your granddaughter saved up her coins and bought those with her own money? You'd be beaming with pride! So forgive me if we're taking up two more minutes of your time to sort this out!" Her mouth then dropped and her eyes widened. If looks could kill, friends. I don't usually lose my cool around my kids, but don't think you can say what ever the hell you want and expect me to take it, just because you're my elder. I don't care how old you are. You should be ashamed of yourself! No one wants to hear the negative shart coming out of your mouth. If you don't have anything nice to say, don't say anything at all. It's a simple as that. The woman behind her smushed her top lip down to her bottom with her index finger and turned around while the cashier stifled back a smile as she sunk her teeth into her bottom lip hard enough that I could see the pigment go from pink to white. And Grandma? Grandma didn't say a word. Maybe she'll think twice next time she feels the need to say something snarky to someone else, especially when it doesn't concern her. Just putting the world to rights. Let's have cake friends, shall we? 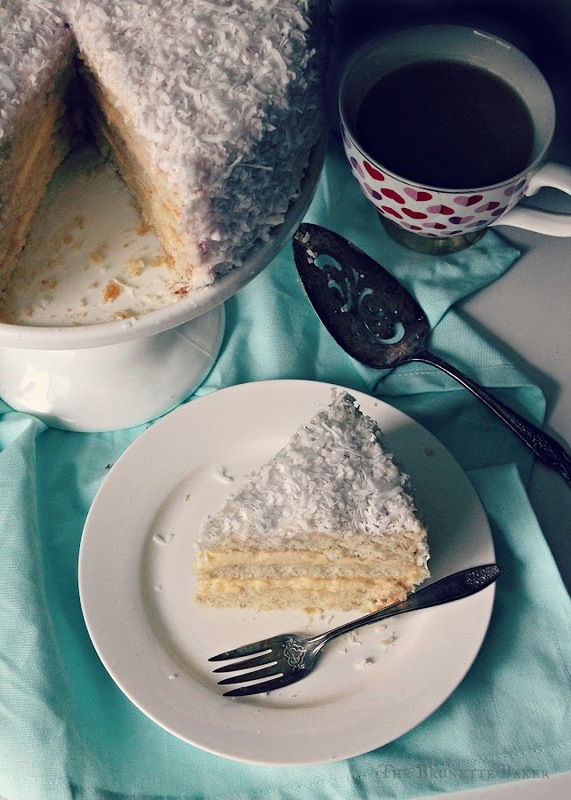 Coconut cake is one of my favourites, but one I don't often make. There's something magical about gliding my fork through the soft, crumbly layers of cake into the sweet, gooey frosting, and collecting all the coconut flakes that have fallen onto the plate with the back of my fork before taking that first bite. Add a glass of cold milk? Have mercy. Preheat oven to 350 degrees F. Prepare three 9-inch round baking pans by lining bottoms with parchment paper and greasing entire surface. Set aside. In a mixing bowl, sift or whisk together cake flour, baking powder, baking soda, and salt. Add in shredded coconut and stir to ensure coconut is evenly distributed into dry ingredients. In a separate mixing bowl, using an electric mixer, beat butter and sugar until creamy and pale in colour. Add in eggs and egg whites and beat until fully incorporated, for about 3-4 minutes. Butter and eggs are two fats that don't want to be together, so it's important that you beat them well. Add in vanilla extract. Slowly add dry ingredients into butter mixture, alternating with coconut milk, beginning and ending with flour mixture. Do not over mix. Evenly pour cake batter between three prepared baking pans. Give a few bumps on the counter to release any trapped air bubbles. Place in oven and bake for 25-30 minutes, checking as early as 20 minutes as ovens will vary. Cake is done when an toothpick inserted comes out with a few moist crumbs and cake has pulled away from the edges of pan. Remove from oven and place on wire rack. Allow cake to rest for 10 minutes before turning out on wire rack to cool completely. In a large mixing bowl, beat butter on high for about 5 minutes. Reduce speed to low and very slowly add in powdered sugar - you can stop the mixer to add sugar so it doesn't end up all over the counter or yourself. Add coconut milk in turns to reach creamy consistency. Add in vanilla extract. 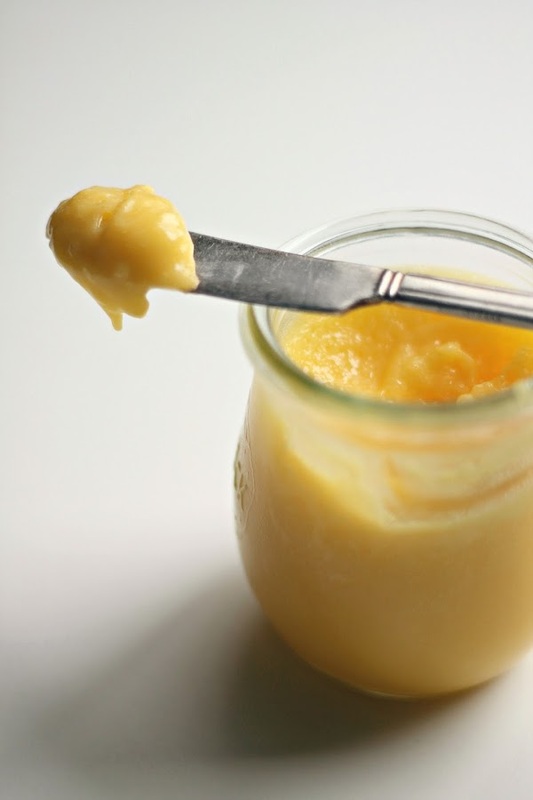 Once consistency is reached, add in lemon curd and blend only until incorporated. Place first cake on serving plate. Dollop a generous amount of frosting on top and evenly spread over surface using an offset spatula. Repeat with each layer until all layers are stacked. Thinly cover entire surface of cake with a crumb coat and place in fridge to set. This cake is notoriously crummy, so it's important not to skip this step or you'll end up with crumbs throughout your frosting and your coconut may not stick to the surface as well. Once crumb coat is secure, generously frost entire surface of cake. Once frosted, place cake plate onto a large cookie sheet or sheet of parchment paper. 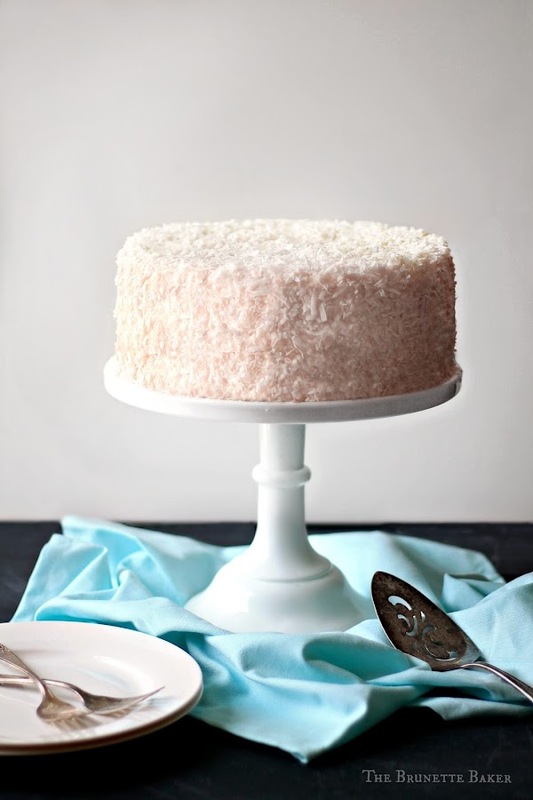 Gently pat handfuls of coconut over top and around sides, covering as much of the frosting as possible. Once coated, place in fridge for about 10 minutes to allow coconut to adhere to frosting. This cake will stay fresh at room temperature for about 4-5 days, covered.